Whilst the social media feeds of key international organisations have been filling up with discussion over whether the people of Greece will be nominated for a Nobel Peace prize, the headlines of mainstream media have been telling of the EU’s anger and criticism of the same nation for the same behaviour. What a difference heart and perspective make. A truth brilliantly demonstrated in the prophetic voice that comes through from Greece in this interview with the country’s Migration Minister that we watched yesterday. Like us throughout our prayer times this week, Yiannis Mouzalas also looks back to history to learn from its lessons – heroic and otherwise – in order to champion what he believes Europe should be about. To him – and the majority of the Greek people – there can be no alternative but to help those landing on their shores fleeing desperate circumstances. And to do so in a humane way. Perhaps it is because Greece keeps coming face to face with the actual people involved – those who make the voyage successfully, and those who don’t – that it can’t avoid the truth that each one is of priceless value. It reminded us of the scene near the end of Schindler’s List where Schindler has to leave as the allies advance, and he breaks down weeping. 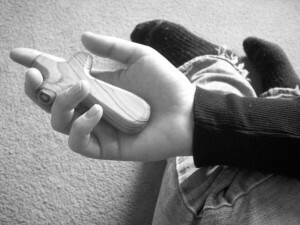 He throws off his expensive wrist watch, trying to calculate how many more lives he could have saved had he not kept it… having allowed himself to fully see the human worth of each individual others felt were disposable, he is then broken to think of the other individuals that had been disposed of because he did not do more. Back to today, Yiannis Mouzalas is asked in this interview who he blames for the situation Europe is in with the ‘migrant’ crisis. And he responds by saying that he isn’t interested in playing the blame game. But instead he wants to find the solution for the refugees. This is turning the problem on its head – heart side up. And as a result, asking completely new questions. What if we started praying for new questions? What is this beautiful exchange? our fear for your faithful, perfect love. Oh Lord Jesus we need another beautiful exchange. and reveal the true, hard heart behind them. and a renewed heart of love in our continent. to you and each other. Not who is to blame? Not what comfort might we lose? But whose life might we save? Not do we have enough? Not how will this affect our security tomorrow? when it becomes the yesterday we wrote? awaken the right questions again. This entry was posted on Friday, January 29th, 2016 at 04:01 pm and is filed under New resource alert, Pray with us, Reflections. You can follow any responses to this entry through the RSS 2.0 feed. Both comments and pings are currently closed.